Hong Kong-based entrepreneur, Girish Jhunjhnuwala is creating a boutique hotel chain with art at its heart. Post the Partition, after travelling around the world Girish Jhunjhnuwala’s father finally settled in Hong Kong from Haryana in 1951. The environment was ripe enough for the senior Jhunjhnuwala to embark on his entrepreneurial journey — he forayed into the watch manufacturing business, which was flourishing at that time. Girish joined his father’s business in 1984 after college. He took little time to get accustomed to the nitty-gritties of the business. But soon, after perusing the evolution of the watch industry he began contemplating shutting down the business in 1998. It was a great learning experience for Girish — he saw the transition of the industry from majorly producing hand-winding watches to quartz and analogue watches. “I think I saw the light and this is the only industry that I saw going backwards in technology,” says the 55-year-old founder of Ovolo Group — a hotel brand headquartered in Hong Kong. The industry’s passéist approach compelled him to take an entrepreneurial call to bring manufacturing to a halt but he could only muster the courage do so in 2002. Talking about being a second generation entrepreneur who decided to move out of the family business and start something of his own, Girish says, “In a family business, it is very hard to venture out. You already have an entrepreneur in the founder and there exists a business. Then the next generation comes in and they want to go into different sectors of the business and continue growing — so you start doing those things and not just keep yourself restricted by doing what you’re doing.” Soon after the shutdown, he began investing in real estate; in September 2002 Girish forayed into serviced apartments. At that time it was one of the growing trends in Hong Kong. Still, his approach was cautious as he was taking a bold step by venturing into a new field. It took him a considerable period of time to drive results as initially he only had a handful of customers. However, this taught him the most profound lesson in entrepreneurship: to be patient. The other being not getting stuck in the family business rut. Girish’s father segregated the business between him and his brother, and both of them were allowed to do their own things. While they have some cross-holdings, still the brothers always relied on each other for advice and suggestions. From September 2002 onward, Girish started with a small unit of serviced apartments — about 40 apartments. Until 2008, he continued operating only in serviced apartments. While the finance industry was taking an upswing in Hong Kong, leading to an upsurge in the demand for serviced apartments but the 2008 financial crisis made Girish realize that the industry would no longer have the big budgets of the past. As the apartments were charged highly, Girish decided to switch to hotels. While staying at some of the chain hotels, Girish encountered a lot of problems, which he saw as an opportunity for himself. He thought of solving them through boutique hotels — a concept that is growing rapidly now. The trend has emerged so strong that even big hotel chains are embracing it. From Marriott to Hyatt to Intercontinental you name it and they have it. 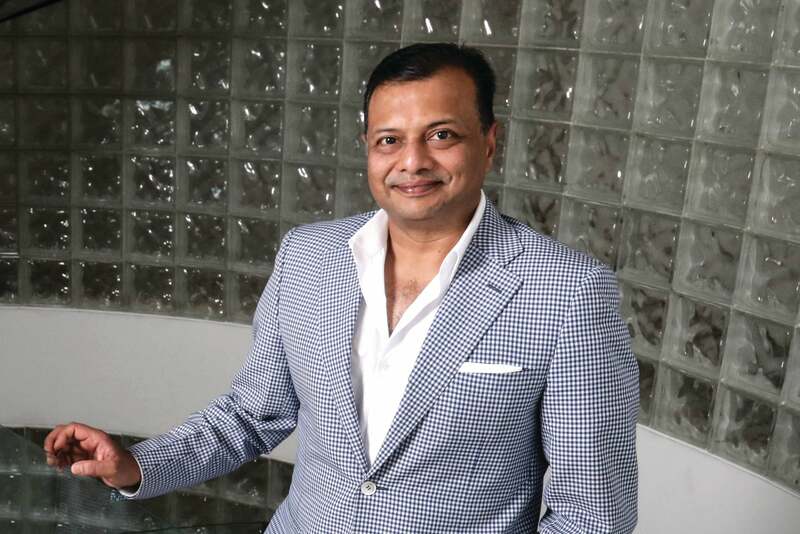 “We just saw the things that we didn’t like, and we did away with those things, and the next thing we realized was that we were being called a disruptor in the hotel industry,” Girish quips. Ovolo works on creating simple things like the free in-room mini-bars. “I just cannot understand why people charge, you’re not staying at a convenience store, are you? Why do you have to worry about how much a packet of something will cost, that’s just so unfriendly. Why do you have to pay for the stuff, you’ve already paid for the room, you can’t do that,” Girish adds. Ovolo believes in doing things differently and with a fresh mindset. Even a conference room will not have your typical snacks; it’s housed with candies and lollipops. If you have a meeting from 9am to 5pm, at five they will give you a private area in the bar and the bartender will make martinis for you. The idea seems to be to defy conventions. The business is still privately run by Girish. Instead of diluting any equity he would like to take the cautious approach when it comes to expansion. As per him, the growth may come at a slow pace but he is keen on building state-of-the-art hotels. As for expansion, he would remain wary as he wants to own and operate every property they expand to. About the investors, he says, “They don’t know the business; they can’t tell me how I should do a thing, that’s how you kill the model.” For future, Ovolo is looking at the US for its further expansion in China, the company is looking at JVs and the typical expansion market would be Shanghai. In the hotel business, however, very few own and operate. Ovolo aims to do things differently by doing just that. Future expansion would be one or two hotels per year. “My people are having fun and I want to see them continue to have fun,” says Girish. This way Girish has led a conventional approach while his touches of modernism stay focused towards the hotel design. Recently, the y-o-y growth has slowed down, it came down to 80 per cent. The EBIDTA is robust — revenue from rooms is maximum, the company is looking at F&B going strong. Even weddings form a major chunk of revenues. Ovolo began as a service apartments concept in 2002, but repositioned itself as a boutique hotel brand in October 2010. After property prices sky-rocketed in Hong Kong, Girish established his moorings in Australia. Altogether, the company has 600 employees right now, 200 in Australia and 215 in Hong Kong, with a total of 11 hotels currently. Ovolo will be opening two more hotels in Australia by the end of 2019. While being small you can be different and say we don’t follow the rut approach, but what if you plan to go bigger in size? There would be SOPs to be followed by everyone. That’s going to be the true evolution.